Lovely fresh cherries, a little balsamic and red wine vinegar, some herbs, sugar and Dijon mustard and you have this great marinating or grilling sauce for pork or chicken. 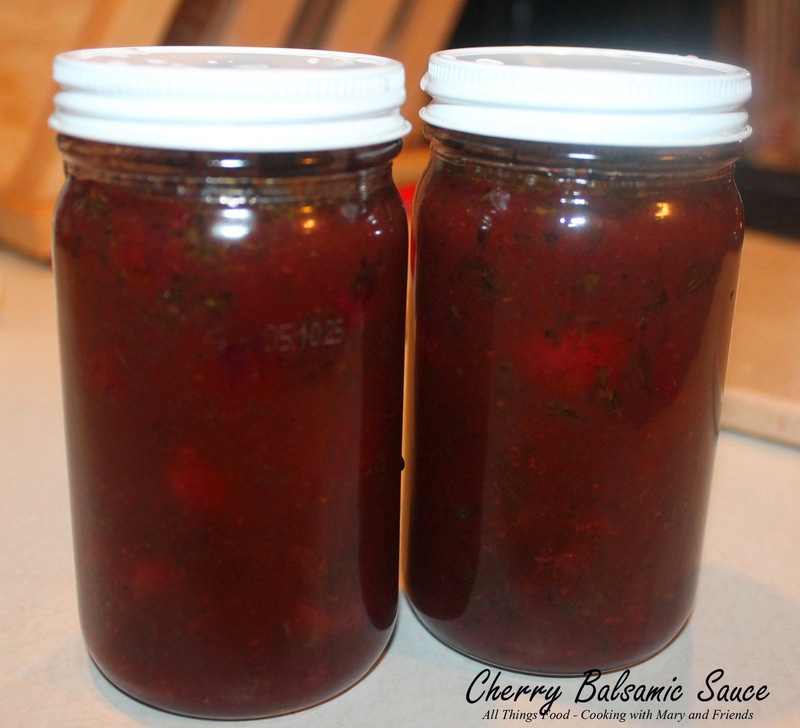 It's so darn good, and a great way to "put up some cherries," other than pie filling or jam. And I just love the jars I bought from Fillmore Container. This is the 8 oz. size and is perfect for small batches. 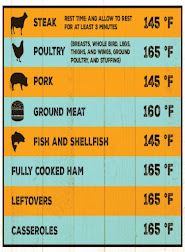 Mix vinegar's and olive oil; reduce mixture to 1/2 cup over med-high heat. 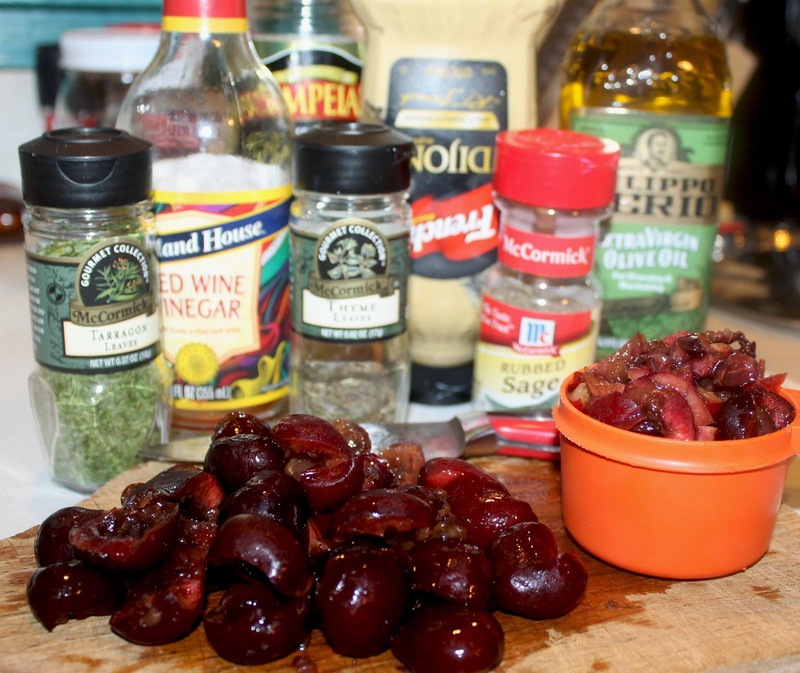 Add chopped cherries, mustard, sugar, herbs, salt, and pepper; simmer 10 minutes. Add halved cherries to remaining sauce; return mixture to a boil and simmer about 1 minute. Pour into sterilized half-pint or pint jars, leaving 1/4" head-space. Apply lids and process in a boiling water bath for 5 minutes.